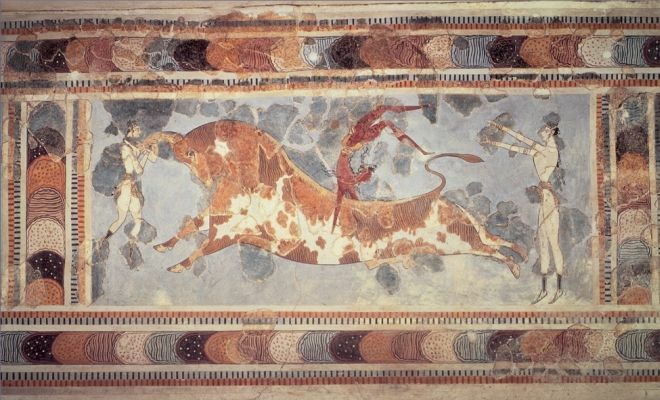 Only few kilometers south of Heraklion, Knossos, the capital of King Minos and the center of the magnificent Minoan civilization is located.Our visit here will take us a step back in time and some 4000 years, 2000 BC.Knossos and her Palace, famous throughout the world through the myths of Europa, the Minotaur, the Labyrinth and Theseus, Daedalus and Ikarus, will open us a window to the most ancient civilization of Europe and its reality you can’t miss. 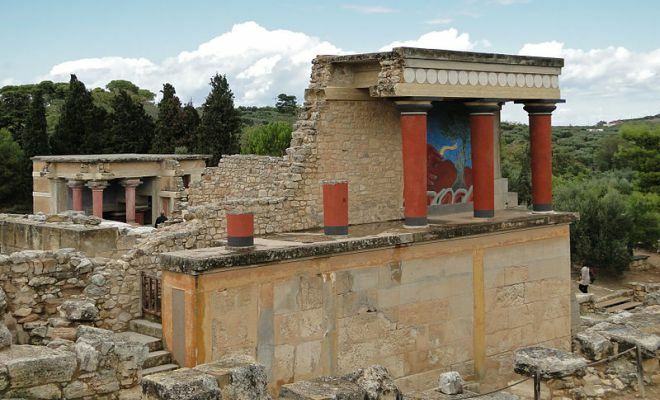 Knossos’ architectural feats include several storey buildings (first in the world) with light wells and bathrooms, impressive pillars and an ingenuous drainage system, aqueducts, irrigation systems, paved roads and magnificent frescoes. All these will impress you and show an advanced beautiful jewelry and a way of life you never thought possible in the dawn of history. 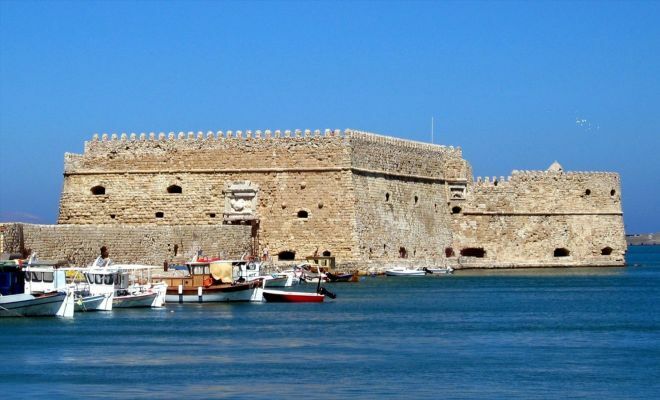 In Heraklion you may wander around the city to see the Venetian buildings and castle, the impressive Cathedral, the fountains, the open street market or just to have a lunch. In 1204, the city was bought by the Republic of Venice. The Venetians improved on the ditch of the city by building enormous fortifications, most of which are still in place, including a giant wall, in places up to 40 m thick, with 7 bastions, and a fortress in the harbor.